Jessica Reagan Salzman is the founder of Heart Based Bookkeeping, which she opened in January of 2006. 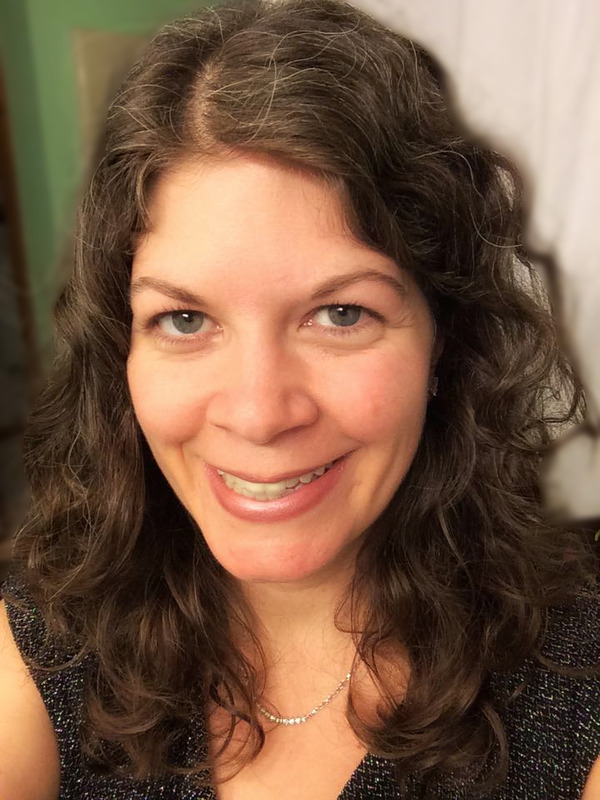 Jess has extensive bookkeeping, accounting, management, and administration experience and she founded Heart Based Bookkeeping out of her passionate drive to assist small business owners as they traverse along the path to creating a successful business. For over twenty years, Jess has managed the financial aspects of a wide variety of small businesses. Jess is designated a Professional Bookkeeper as a graduate of Universal Accounting Center which exclusively focuses on training bookkeepers and accountants in small business accounting, which is very different from the bookkeeping and accounting process of larger organizations. She is also a member of the American Institute of Professional Bookkeepers (AIPB), the National Society of Accountants (NSA), and she is an Intuit Certified QuickBooks ProAdvisor. She has also been affectionately called “the marriage saver” because of the assistance she provides to husband/wife owned companies and the amazing difference it makes in the lives of those couples. Since 2013, Jess has been a Guest Teacher and Transformational Assistant (TA) with The Art of Money by Bari Tessler Linden. The Art of Money is a year-long money school and it includes an incredible conscious money community. Jess is deeply honored to work alongside Bari and the other wonderful TA’s and to collaborate with the amazing students within this program! I work with small business owners who love what they do, but can’t keep up with managing the numbers side of their business. As founder of Heart Based Bookkeeping, I help my clients identify and solve both their practical and emotional challenges of making and managing money. My unique approach includes not only the “nuts and bolts” aspect of having a monthly accounting system that works for them instead of against them, but also in facing and sorting through the feelings that are holding them back when it comes to financial security and success. Jess lives in Attleboro, Massachusetts with her husband Michael – Operations Manager of HBB – and their two young and amazing daughters, along with their beloved dog pack, which currently includes Vortex (Papillon), George the Great (Great Dane), and Pebbles (Pit Bull), and last, but not least, her daughter’s four chinchillas (Dusty, Lucky, Kiwi, and Storm). Jess is also a Learning Coach, supporting her eldest daughter with her lessons as she attends virtual public school. Being a mother is the greatest pride and joy of Jess’s life and she is eternally grateful for all the benefits of self-employment that empower her to always be there for her family, both for her children and her extended relatives as well. Jess is also incredibly passionate about choosing love over fear and she runs a private group on Facebook where she shares uplifting and inspirational posts reminding us all to CHOOSE LOVE. If you are interested in joining this group, just let Jess know! She would be honored to have you join in. For Jess (and Michael, too), Heart Based is not just the name of the company, it’s also their philosophy on living life! In a vividly open and honest essay entitled Hitting Rock Bottom, Jess shares with you the personal story of her incredibly intense life and business experiences during 2007, 2008, and 2009. Jess’s journey has given her profound first-hand insight into the vast array of issues that small business owners must face both in business and in life. Her experiences have empowered her and given her an incredible set of lessons whose gifts she can access when assisting her clients. Then Jess once again openly updates on the continuance of her personal and professional journey throughout 2010, in her essay entitled It’s a Love Affair. This uplifting and insightful story will allow you to get to know Jess even better and glean insights into her incredible business success story! During his extensive research for The $100 Startup, author Chris Guillebeau poured through in depth case studies of 1,500 individuals who have built unconventional businesses earning $50,000 or more from a modest investment, and from that group he’s chosen to focus on the 50 most intriguing case studies. One of those case studies was Jessica Reagan Salzman’s. You can learn more about this amazing book that Jess is honored to be a part of by visiting 100startup.com. In addition to her professional designation of Professional Bookkeeper, Jessica is a Reiki Master Teacher in both Usui and Karuna Reiki, a Certified Professional I See Your Dream Job Coach, a Certified Crystal Healer, an animal communicator and volunteer/foster mom with Great Dane Rescue of New England, and a trained/certified Hospice Volunteer with Home & Hospice Care of Rhode Island. So who am I? What’s the story behind the story? As far back as I can recall, two prominent things have always been true about me. I ask a lot of questions and I am passionate about helping people. So what do those two things have to do with one another and, more importantly, why are those two things relevant on an “about me” page when you’re here to learn more about my business? Those two traits are responsible for guiding me down the path that led me to doing what I do. Since you’re considering working with me, I thought you might be interested in the Heart Based Bookkeeping story. Thinking back to even my very first job, what stands out in my mind is how I always needed to find a way to bring meaning to the work I was doing. Even when I was a teenager, working in a drug store, it wasn’t about just ringing up the purchases, it was about pointing out the items that were on sale, the ones that could save the customers money. It was about helping someone find what they needed in the first aid aisle. It was about making sure someone’s precious photographs were developed the way they wanted them so they could present their loved one with the perfect gift. It was about helping someone get the prescription they needed, even if there was a blizzard raging outside and we needed to close the story early. It was about finding a way to stop pouring soon-to-expire baby formula down the drain, and instead get it into the hands of young, single mothers who were living in a women’s shelter a few towns over. Quite a few jobs filled the span of time between my very first job (which I found as soon as I was old enough to have a work permit with parental authorization) and my current line of work, which is running Heart Based Bookkeeping, a bookkeeping service that focuses on helping entrepreneurs turn their bookkeeping problems into profits. But the one job that probably had the most impact on me, the one that led to the decision to go out on my own and do what I had been doing for my employers for over 10 years, that was the job I had in December of 2005. I had just been hired as the full-charge bookkeeper at a local CPA firm. I was going to be assisting small business owners with their bookkeeping and tax preparation needs. My first day on the job, I started asking questions – as I’m known to do (just ask anyone who knows me and I have no doubt they’ll laugh, agree, and tell you, “Yes, Jess – she does ask a lot of questions!”). So, it’s my first day and I posed what in my mind was a very logical question. I asked for the login info for the firm’s QuickBooks file. The answer I received – it stunned me. “We don’t have one right now.” Yes – you’ve read that right. A CPA firm without a bookkeeping system. I wasn’t sure what to make of that, so I moved on to my next question. “What should I be working on?” I was led to a room that was filled with boxes, boxes stacked up very high in towering stacks all around the perimeter of the room. “Pick one!” Turned out those were all the projects that clients were waiting on, projects that had fallen behind, projects that were neglected and ignored. So I picked one. And within an hour I had discovered that the project that was ‘almost done’ and had been passed along to the client, accompanied by a sizeable bill – it was wrong. I don’t mean there was a minor mistake. I don’t mean there was something left out. The tax forms I was reviewing as I familiarized myself with the work I was to do for this client? They were wrong to the tune of more than $40,000 in overstated taxable payroll wages. You better believe I had quite a few additional questions that I asked after that. After fixing those mistakes and informing the client of the mistakes and my resolution of the mistakes, I made a big decision. I knew in my heart that I could do better than what I had just witnessed. I knew that my combination of an inquisitive mind and a helpful heart would lead me down a path that seemed rarely traversed in the bookkeeping industry, at least the one I’d been exposed to locally, time and time again. You see, it wasn’t the first time I’d come across a mistake made by the bookkeeper before me. So I decided to self-educate (which is another one of my prominent traits – my love of self-learning, self-study, and reading). I signed up for a self-study course that would lead to the official designation of Professional Bookkeeper and in February 2006, I officially opened Heart Based Bookkeeping. Heart Based Bookkeeping is my answer to the small business owner’s need for a powerful, dependable, accurate, and automated bookkeeping system that they can trust and rely upon as they work within their business, striving to make it the very best business that it can be. I truly believe that one of the reasons I have been as successful as I have been is because of the caring that is behind the work I do. For me it’s not just about making money (although that’s nice and a necessity). It’s really about the struggle of the small business owner to find a solution to their bookkeeping challenges and a way to make their businesses run better. And today, the real magic of what I do is that not only do I get to help my clients, directly, I also get to help their clients, indirectly. So when I’m helping you in your business, I also take pride in knowing that I’m also helping those that you are helping. It’s neat to know that the work I do to help you make your business better helps all of those who also need what your business has to offer them. I’m passionate about bookkeeping and leveraging it as a tool to help transform people’s lives and businesses. I really love what I do. I’ve been told, “Wow, I’ve never met a bookkeeper like you before!” I think that’s in large part due to the fact that, for me, it’s about the art of numbers and the science, not just the science. I believe that bookkeeping is a hidden business success secret in the small business world. You’d never find a big company trying to operate and make decisions without an accounting system. So I get excited when I think about how helpful I’m able to be when working with a small business owner who just needs this missing link to turn his or her business into the best possible version of their dream business. So yes – I’m passionate about bookkeeping and I want to share my passion with you. I want to share my system with you so you can transform your business too! I do what I do so that gifted and talented entrepreneurs like you can keep doing the work you love to do, too! This, to me, is having a profession with true meaning. And I get to ask a lot of questions doing what I do! It’s truly a perfect combination for someone who loves to ask, ask, and ask some more and who always wants to lend a helping hand.